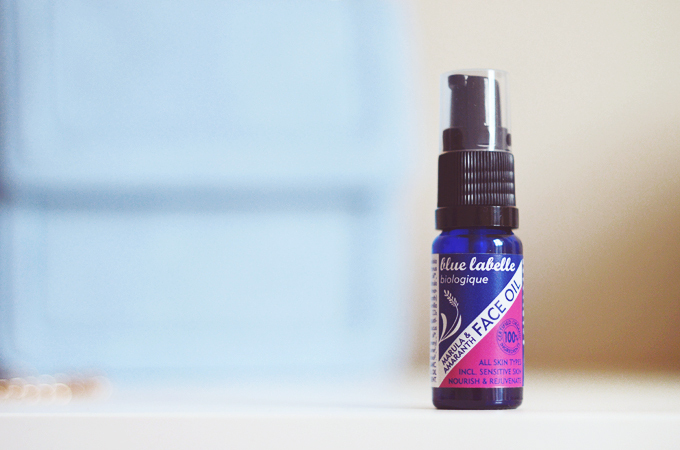 Blue Labelle Marula & Amaranth Facial Oil. I'll admit I hadn't heard of Blue Labelle before I was approached to try a sample of one of their new biologique oils, but I was definitely intrigued. 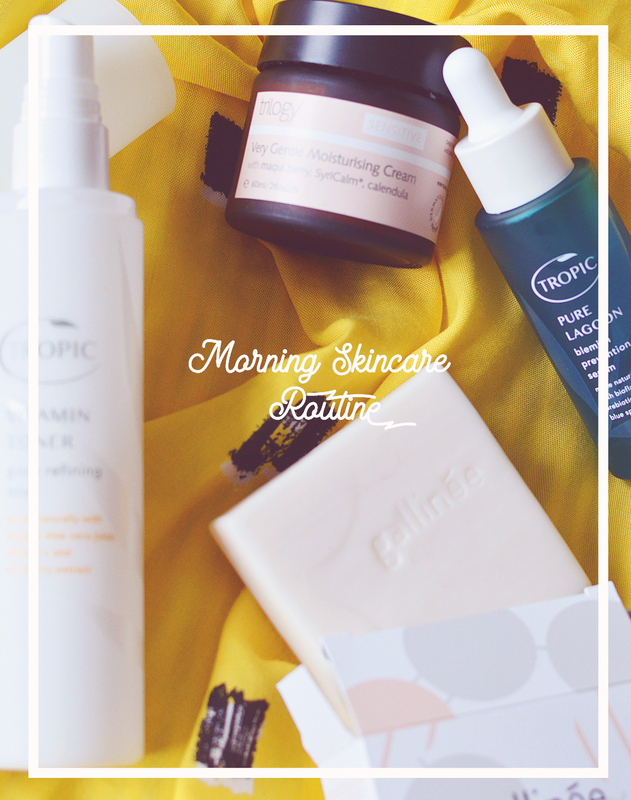 I'm a face oil fan and am baffled by anyone who isn't, you can't go wrong with natural, organic, potent, healing oils on your mug, you just can't (obviously pick the ones that are suitable for your skin type though - I may write a post on that soon). Blue Labelle, founded in 2011, is a range of beautifying oils for your hands, face and body. Their oils are 100% natural, with the new biologique oils being 100% organic too. I was lucky enough to be sent the Marula & Amaranth Face Oil* (10ml) which is for all skin types including us sensitive skin gals (and guys!). The 10ml bottle is only £9 which I think is absolutely amazing for all cold pressed organic oils, and the full size 30ml is £22! I've been using this regularly for a few weeks now & I'd say my bottle is just at the halfway point, so even for a sample size it's going to last you quite a while. The oil itself is a pale yellow colour and smells faintly of lavender, it's not overpowering but lovely and soothing come bedtime. It's quite a thin consistency and sinks in easily to skin, not too quickly that my skin is drinking it up, but within an hour it's all gone. I don't have dry skin though so if you do you may find it's different for you. The base oils are jojoba and sweet almond, I've been wanting to try some pure jojoba for ages to help unblock the pores on my nose and I know it takes weeks to see results so I'm glad I have this to see if if will help before I decide to pick up some pure jojoba. There's also camellia and chamomile which are both soothing and calming on the skin and are the reason I've been reaching for this oil when my skin is feeling irritated and hormonal. It's particularly lovely after a double exfoliating & cleansing mask treatment as this oil completes the little treatment session by calming redness and replacing loss moisture. Lastly there's marula oil which is an extremely precious and nutrient dense oil and Amaranth extract which has a high squalene content - good for protecting and promoting skin renewal. All in all this is a bit of a do-all wonder, especially for the coming colder months & I'd suggest it to anyone with fussy combination, dry or sensitive skin. Have you tried Blue Labelle? Simmondsia chinensis (jojoba) oil*, Prunus dulcis (sweet almond) oil*, Camellia oleifera oil*, Marula sclerocarya birrea oil*, Amaranthus caudatus (amaranth) CO2 extract*, Chamomilla recutita (chamomile) CO2 extract*, Lavandula angustifolia (lavender) oil*, Daucus carota (carrot) seed oil*, Rosmarinus officinalis (rosemary) leaf CO2 extract*, Limonene‡, Geraniol‡, Citral‡, Linalool‡. *Certified organic at source. ‡essential oil constituent.